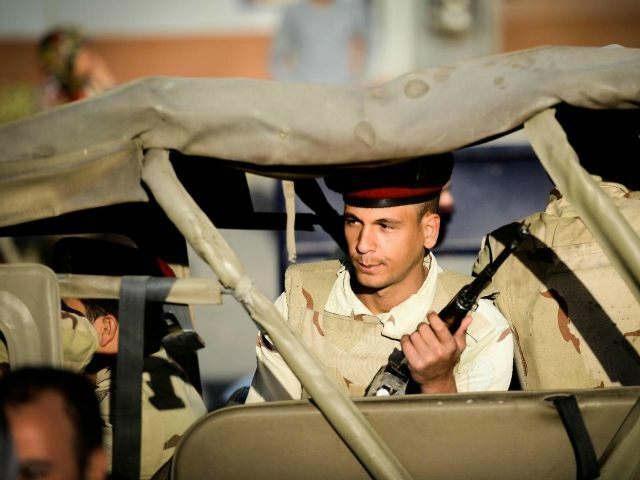 A group of Egyptian soldiers surrounded his house in the northern Sinai town of Sheikh Zuweid and engaged in a shootout. According to some reports, the ISIS commander attempted to blow himself up before his death. Apparently, two machine guns, a grenade, an explosive belt, a radio, and other ammunition were found in al-Haram’s possession. In the past, al-Haram’s organization has claimed responsibility for a variety of deadly terror attacks, including a rocket strike on an Egyptian naval vessel near the coast of Israel. They also claimed responsibility for a recent attack in Rafah, near the Gaza border, which killed four Egyptian soldiers, in addition to assaulting military checkpoints in that area, initiating some of the fiercest fighting the region has seen in years. 20 alleged extremists were killed in nearby action, and seven are currently being held for interrogation. Recently, Egypt has been redoubling its counterterrorism efforts, especially in cooperation with Saudi Arabia. “At this current period which the Arab world is facing, we need to work together, because the threats are many, and we will not overcome them unless we work together,” Egyptian President Abdel Fattah el-Sisi said of the new efforts. “Egypt and Saudi Arabia are the two pillars of Arab national security, and together we can confront these challenges,” he also stated. Last month, the Israel Defense Force said that they were worried about the chances of fighting in Sinai spilling over into Gaza and eventually Israel. The insurgency began in 2013 when Egyptian President Mohammed Morsi and his Islamist supporters were removed from office in a military coup.